To design the website that will secure results for your company or business, there are a lot of different options available. From minimal design, to one page websites, different design styles will suit different companies in different industries. Text first web design is another option. But what is this? And how can it be used to get results for your business? Well, here at Pumpkin Web Design Manchester, we are Manchester’s leading web design experts, and we provide high quality, effective, web design solutions for a range of local companies and businesses across Manchester, and the surrounding area. This includes Blackburn and Stockport. As a result, we have produced this guide to the advantages of text first web design. What is text first web design? Text first web design is a web design principle that makes any text become the focal point of the page. This means that the written content will take centre stage, but it will be balanced by visual content and imagery, to make sure it is still visually attractive and easy to read. The purpose of text first web design is to design the website around the most critical pieces of content, namely the information you want your potential customers to see first. This will involve some research, into why people are landing on your website in the first place. Perhaps they are looking for a local service provider in a hurry, and they need the telephone? Or maybe they are looking to order your products. Either way, once you know what your users are looking for, you can plan your website around these key pieces of content. Positive user experience- by choosing textual content that will answer users most immediate questions, you can make it much easier for potential customers to find the information they need. And this in turn will lead to a more positive user experience. If people enjoy using your website, they are more likely to purchase or sign up, increasing company profit. De-clutter- planning your key content, and designing the website around this, is a great way to minimize clutter and chaos. Instead, only the most important features will be emphasized, one at a time. This will make your website more streamlined and fluid, as well as making it easier for users to find what they need. Meeting your goals- all websites have different goals. Defining your goals and aims, before designing your website, will help to make sure that your website is designed for success. 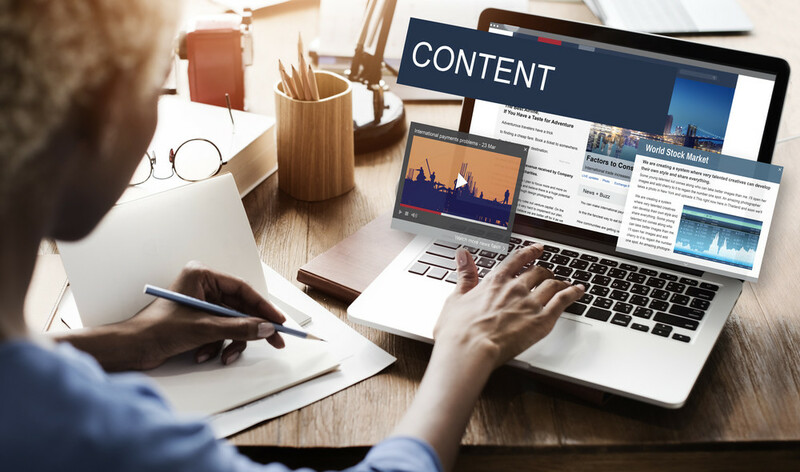 Text content is one of the most important and effective tools used to portray your website goals, and designing your website around this, will help to secure positive results.